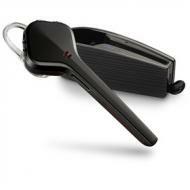 Plantronics Discovery Series Wireless Headsets connect you in a technically advanced way. 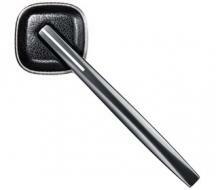 The designs in the discovery series are all the more charming and attractive along with the promising features. The comfort level and convenience are also improved in these enhanced series because the headsets are super light and ideally comfortable. The charging system in the discovery Bluetooth headsets and headphones are more adaptive to the present preferences. The company has installed more innovation and creativity in these freshly engineered models. 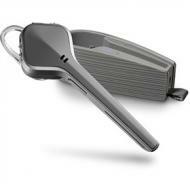 Plantronics Discovery Series Bluetooth Headsets includes Discovery 975 Bluetooth Headset, Discovery 640E Bluetooth Headset, Discovery 655 DSP Ultimate Bluetooth Headset with DSP, and Discovery 610 Bluetooth Headset. All these models have their own characteristic features and specialties that offer you with a range of options. Having such variety and diversity, you can select and choose according to your preferences. 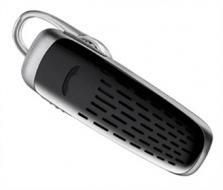 Plantronics Discovery 975 Special Edition Bluetooth Headset is the headset which makes it easy to connect any Bluetooth device virtually through its Quick Pair and multipoint technologies. 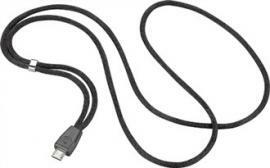 It is designed to deliver clear crisp call quality. Its dual-mic AudiolQ2 gives you superior call clarity, preserves natural sound of your voice and cancels sound of the disruptive environment. 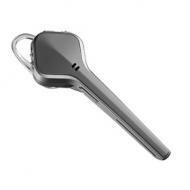 Its noise reduction feature enhances its elegance and lets you communicate without background noise. Plantronics Discovery 975 Special Edition Bluetooth Headphone has a very innovative carrying case and this case extends battery timing to triple your talk time, it let you stay recharged while on the go. It also protects your ear piece through 3 layers of protection against wind noise. Plantronics Ear Tips Small for Discovery Series Headset is a very technical and outstanding device which is designed to deliver superb call quality by canceling background noise so you can have a conversation free of any disturbance. 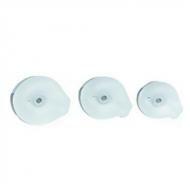 These headsets have sets of 3 small ear tips of different sizes small, medium and large. These sets of ear gels come with the Plantronics discovery series headset when purchased. Plantronics Ear Tips Small for Discovery Series Headphones have ear tips with clips which are used to attach the gels to the headphones. Plantronics Ear Tips medium for Discovery Series Headset is designed to deliver superb call quality by canceling background noise so you can have a conversation free of any disturbance. 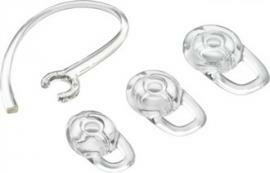 These headsets have ear tips and these ear tips come in different sizes small, medium and large. Every size has its own advantage but medium size makes it more convenient to use. These sets of ear gels come with the Plantronics discovery series headset when purchased. Plantronics Ear Tips medium for Discovery Series Headphones have ear tips with clips which are used to attach the gels to the headphones. These ear tips are used to have conversations with utmost comfort and ease. These ear tips are compatible with multiple Plantronics models. Plantronics Ear Tips Large for Discovery Series Headset can give you best sound quality through its background noise cancellation feature. These headsets come with ear tips and these ear tips have different sizes i.e. small, medium and large. Every size has its own advantage, but large size makes it very easy to use and convenient to handle. 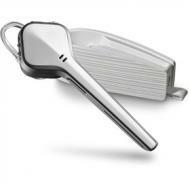 Ear gels come with the Plantronics discovery series headset when purchased. 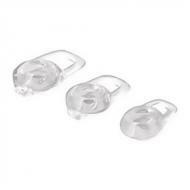 Plantronics Ear Tips Large for Discovery Series Headphones have ear kit with soft gel. Plantronics Ear Tips for Discovery 640 Headsets come with three soft gel ear tips and an optional ear loop, this ear loop may be attached to the headset to improve stability. These ear tips vary in sizes, they come in small, medium and large sizes. Plantronics ear tips are used to develop a better conversation on both sides because these ear tips have noise cancellation feature. Plantronics Ear Tips for Discovery 640 Headphones can let you enjoy hands-free conversation without any noise of the disruptive environment. These ear tips come with a soft gel which is used to attach ear tips to headphones.